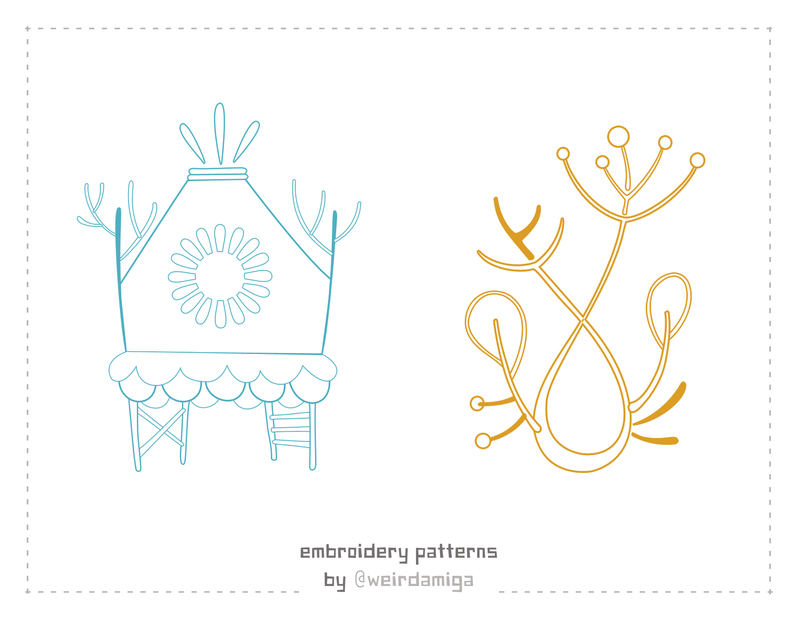 Kanelstrand: DIY: Simple Embroidery Patterns. The holiday season is approaching at full speed, and as the number of people on my gift list increases, I've vowed to give myself enough time to make presents for everybody this year. After all, gifts are all the more personal when they are handmade, right? 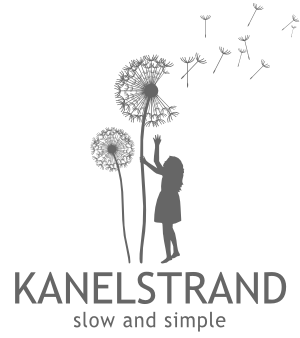 I am excited about this month's theme here at Kanelstrand (Work with Your Hands) and I thought it would be fitting to share something that will help you get a little handmade project started. You can always turn the finished piece into a present to give away during the holidays! I have always found embroidering to be very soothing. I love contemplating a perfectly smooth piece of cloth stretched between embroidery hoops, the tiny boom of the needle when it pierces the tense fabric… I love cuddling up with a small embroidery project and letting the rhythm of the task take me away. You can download the patterns here. They are about 4.5" high and print on a standard 8.5x11 sheet (just reduce or enlarge them to suit your project). • Use orange & black to turn it into a folkish, spooky house. I was a bit inspired by Baba Yaga's hut, so you can run with that—pardon my pun! • Use cool grays for a wintery, snowy variation. • Approach it as an appliqué. Layer the scalloped skirt with little pieces of fabric to make it three-dimensional, for example. • Embroider along the lines, without filling in the spaces. • Fill it up, crewel style. • Use gradations of green throughout, to emphasize foliage. • Differentiate stem, leaves, and blossom by assigning each its own color. • Add embellishments, like tiny beads. Use them to beautify a plain fabric case, scented sachets, or a tote bag. Don't forget to play with the background as well! These will probably look great on black fabric. Just spend some time with these little patterns and tons of ideas will pop up in your mind. It's such a fun process! I confess that even though I enjoy embroidering, I don't know a whole lot of stitches & techniques, so share your pictures! We're dying to see what you—master embroiderers of the world—come up with.